The CAs, led by Manipal group chairman T.V. Mohandas Pai, have labelled the allegations made by the 108 economists and social scientists ‘baseless’. New Delhi: Days after 108 economists and social scientists accused the Narendra Modi government of altering or withholding unfavourable economic data, a group of 131 chartered accountants (CAs) defended the government and questioned the scholars’ political motivations. The CAs asked all professionals to come together to portray the progress made by India in the last five years, and counter the “baseless allegations” made by the economists and social scientists. “Between 1960 to 2014 (sic) India had been left behind by all its peers from Japan, China, Taiwan, Korea, Brazil, Thailand, Indonesia, Malaysia, Singapore, Russia, South Africa and Sri Lanka in economic growth. None of these economists or social scientists ever made an appeal in those 54 long years that India is on a slow track and is being left behind,” the statement said. “Now when India has become the Fastest Growing Economy in the world they are worried about the credibility of data. Is it their intention to scare Foreign Investors by creating doubts on the credibility of Data?” it added. The signatories include Manipal group chairman T.V. 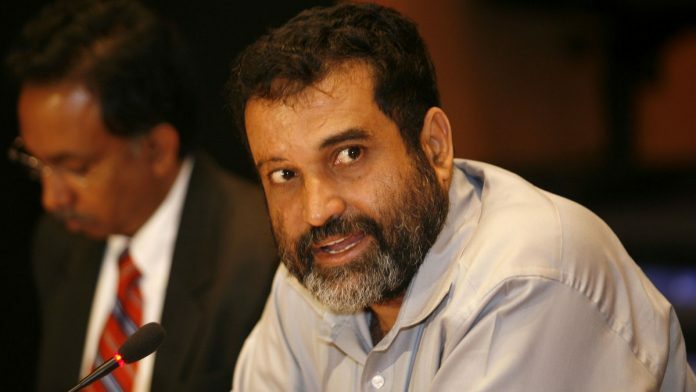 Mohandas Pai, a vocal supporter of the Modi government, Prafulla P. Chhajed, president of the Institute of Chartered Accountants of India (ICAI), some past presidents of the ICAI, Kotak Asset Management Company managing director Nilesh Shah as well as Ajay Bahl, founder and partner at AZB Associates, a leading law firm. The CAs also disputed the alarm raised by the economists on maintaining the integrity of Indian public statistics. “The appeal seems even more devious as the data in respect of GDP, Poverty Alleviation, Ease of Doing Business are being duly published even by international agencies including World Bank, IMF and many others. The international data and independent agencies have clearly confirmed the data being published by Government agencies,” the CAs said. The statement did not, however, delve at length on the accusation that the government withheld the jobs data compiled by the National Sample Survey Organisation (NSSO) because it showed a rise in the unemployment rate. On 14 March, a group of 108 economists and social scientists, including Abhijit Sen, Himanshu, Jayati Ghosh and C.P. Chandrasekhar of Jawaharlal Nehru University, R. Nagaraj of the Indira Gandhi Institute of Development and Research, Jean Dreze of Allahabad University and Abhijit Banerjee of the Massachusetts Institute of Technology, had criticised the government’s recent decision to withhold the unemployment data, as well as its new GDP back series data. The NDA government has been facing criticism for its decision to withhold the release of the NSSO’s employment survey for the year 2017-18, despite the nod of the National Statistical Commission (NSC). The government has also been criticised for its new back series GDP data that drastically lowered growth rates during the regime of the previous UPA government. The numbers released by the NITI Aayog were in complete divergence from the numbers arrived at by a sub-committee of the NSC. The resignation of NSC chairman P.C. Mohanan along with another member under protest earlier this year brought the issue to the fore. Subsequently, economists from across India and overseas issued a statement urging the government to protect the integrity of public statistics by providing autonomy to NSC and NSSO. Not able to understand how CAs came into picture, when economics and statistics are concerned. This clearly shows they have not properly understood what is being discussed. Did the current President of ICAI also part of this exercise – one of the signatory to this? I hope his name has been put forward by somebody without his knowledge. I wish and hope I am NOT wtong. If he has really put his signature, it means he has been pressurised by this government to do this. More relevant question is about the integrity of the economists who have earned their living under the shadow of their masters (The Gandhi-Nehru family) for so many years. They did not find anything wrong since last 7 decades and now everything has gone bad in the last 4years. Hypocrites. CAs are only there to make money. By sucking up to this govt they will make money by any means necessary. They have zero credibility. It can be easily seen the bias of these economists when the world institutions have not doubted Government published data. And so also the foreign investors, who would invest in an economy that is not performing. Also the amount of development we see around us such as growth in passenger traffic, auto sales, white goods sales, commercial real estate growth etc all point out to a healthy economy. Biased economists have to satisfy their western masters first before being honest to their nation. Shameful to know how low is their integrity. Thanks to The Print and the CAs who have reasoned out the error and bias of the 108 economists. Chartered accountants – I am one, too – have a lot to answer for in their own professional domain. ILFS is the most recent instance of the statutory auditors having been asleep at the wheel. Restoration of the credibility of official data and statistics should be high up on the post election agenda. It forms the basis for rational decision making. It is very likely that Mr Pai has had a different syllabus on ethics, morality, good governance and economics than a regular CA student in India. I am always amused with his inability/unwillingness to see the reality as it exists. First thing that came to my mind was the credibility of accounting policies and practices and then when have CAs become expert on Economics. Disclosure – I am not a CA, but have enough in the family who will tell that Economics is not one of their strengths. The precise job of CA is to misrepresent data so their clients pay less taxes. The fact that they challenged the scholars demonstrates that how unreliable Mr Modi’s data is. Let scholars debate scholars, not CAs. What have CAs to do with the integrity of data? It is not a question of India growing better or worse. It is a question about whether India’s data is becoming untrustworthy or not due to government interference, whether it was the right decision of the govt to withhold NSS data that did not favour it. Given the well-earned “reputation” of Indian CAs, for them to question the integtity of scholars is laughable. The twists and turns that official statistical data has taken over the last 5 years raises legitimate concerns about their credibility. Imputing motives is the time-tested “patriotic” defence. Most of these so called social science scholars are nothing more than witch doctors, still trying to propagate the same failed socialism back to India once again. We’ll never let it happen. India was a fragile 5 economy back in 2013-14 and now it’s the fastest growing major ecoo in the world. What a joke? All figures have been fudged with including GDP and employment data , teh economy is in shambles,rural india is in distress, farmers are on the streets, reports are not being taken out and known BJP stoooge Mohandas Pai is leading an offensive against economists ? And silly citizens are defending that. Forget about politics, if people cant see the stupidity of getting CA’s to defend data integrity , where questions on macro level and socio-economic data are concerned which has nothing to do with CA’s nor are CA’s qualified to comment on it, , then they deserve Modi and his stooges. Atleast BJP could have been smart enough to get economists to reply – but obviously , they know no economist is going to stake his/her reputation in face of such flagrant manipulation and distortion of data systems and integrity in this country. So they get their stooge mohandas to reply… and stupider citizens defend it ! Andher nagri , chaupat raja – all these people should be sent to a seperate country to rule with modi – why should we suffer and be made an object of worldwide ridicule by such stupidity ! Where are it’s benefits ?? Mohan Das Pai would soon be seen RS if not Lok Sabha. Who knows even Sunil Alagh may join him. Maybe even a Raj Bhawan tenancy for one of them.